1.1. The British Show Horse Association (BSHA) is committed to protecting your personal information and respecting your privacy. 1.2. This Privacy Notice sets out the basis on which any personal data that we collect from or about you, or that you provide to us, will be processed by us. 1.3. For the purpose of the General Data Protection Regulation [the GDPR], the data controller is The British Show Horse Association. 1.4. We may update this Privacy Notice from time to time. Please check back regularly to see any updates or changes to this Notice. described in more detail in the Annex to this Privacy Notice. If you wish to raise a complaint on how the BSHA has handled your personal data, you can contact the Secretary at the details above. have the right, as a data subject, to withdraw that consent at any time. If you wish to invoke this right, please notify the Secretary using the contact details set out in Section 2 above. accordance with the purpose(s) for which the data was originally collected or may otherwise be lawfully processed. 7.2. Such third parties have contracted with us as data processors under the requirements in the GDPR. They are contractually bound to only use personal data for the agreed purpose(s). 7.4. In appropriate circumstances we may disclose data to authorised bodies as required by law. 8.3. We collect these cookies under Legitimate Interests in order to provide you with our online services and to analyse visitor behaviour on our website. pictures, recordings and/or likenesses of the Entrant. any commercial purpose without the prior written consent of the Organiser. purposes which may include sharing and/or using the Entrant’s details with the press and the Organiser’s PR advisers. 9.4. The Entrant agrees and acknowledges that nothing in these Rules grants the Entrant any rights in or to any intellectual property owned or controlled by the Organiser. 10.1 Please contact the General Secretary if you have any questions or concerns about personal data and privacy matters. 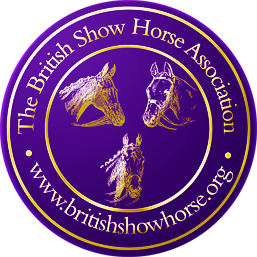 This Annex sets out the British Show Horse Association’s processing of personal data relating to Members (including Board Members), Judges and Competitors/Exhibitors at BSHA and BSHA Affiliated events. What personal data do we process, why do we process it and what is the lawful basis? We also process personal data for the Association’s legitimate interests as we have outlined in the main Privacy Notice. Please be assured that we will always take account of your personal data rights in doing so. Where do we obtain your personal data from? Most of the above personal data is received direct from you (the data subject). However, information may be received from third parties (e.g. Producer, Family Member, Friend, Owner). Personal data will be retained indefinitely as required by the Association for the legitimate interests of the sport for the purpose of historical records. You are not obliged to provide the personal data in question. However, if you do not provide the personal data, we will be unable to perform any contract you have entered into with the British Show Horse Association for the provision of membership services, judging appointments or event services. Do we use your data for any automated decision-making? Any financial data arising from a transactional process will be held securely by the British Show Horse Association in accordance and compliance with all statutory and HMRC requirements.